Quick Rent as a brand has been carefully thought through as being appealing to both Landlords and Tenants, while our research showed that one of the most critical aspect for a Landlord is to put up the property on rent as quickly as possible, on the other hand, being a need based requirement for a Tenant also appreciates quick transaction. The colours Road Sign “Yellow” & Black depict speed and agility, while having a great visibility. 1000 Sq.Ft. to 1500 Sq.Ft. 1500 Sq.Ft. to 2000 Sq.Ft. 2000 Sq.Ft. to 3000 Sq.Ft. 3000 Sq.Ft. to 4000 Sq.Ft. 4000 Sq.Ft. to 5000 Sq.Ft. 5000 Sq.Ft. to 7000 Sq.Ft. Are Restaurants within the Residential Communities offering hygienic food? What are the things to look for while renting a Luxury Apartment in Gurgaon? Did you know that M3M Golf Estate has a Gold Class Theatre? All content contained on this website is copyright of QuickRent.in Any copying of the content and further usage of the content, not limited to photographs and textual content shall be deemed to be a criminal offence under the copyright act. Any such act shall be pursued very strongly by the company to bring those involved to justice. All content herein is deemed to be accurate, but not guaranteed. 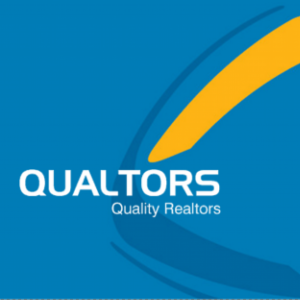 QuickRent.in or the parent company does not take responsibility of the data contained herein; the tenant/landlord/buyer/seller must ensure the accuracy of the data before going ahead with any transaction.